This is just one image taken by Miloslav Druckmuller, Peter Aniol, Martin Dietzel, and Vojtech Rusin. It is actually comprised of 80 images taken from that day, including a shot of the full moon. 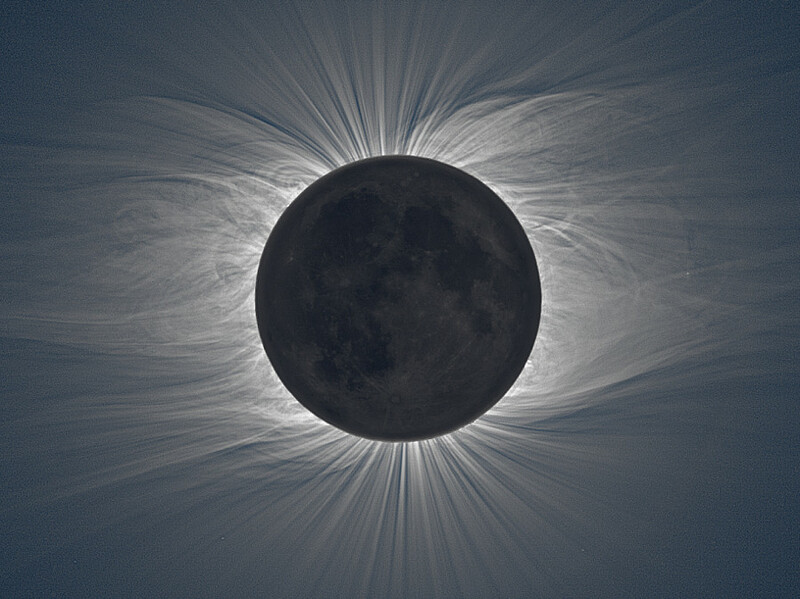 The solar corona looks like a painting in the sky—just phenomenal.